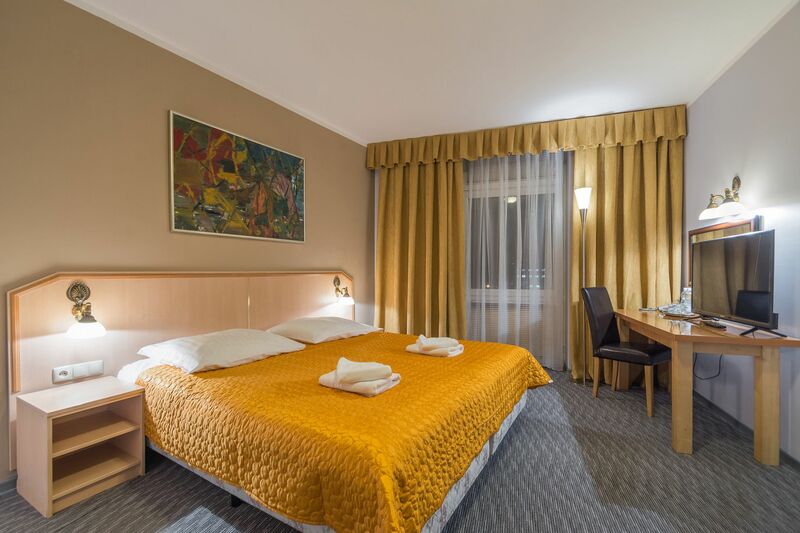 ANTICA RESIDENCE Guest Rooms is a cheap and comfortable place in the center of Cracow. We have 17 comfortable well-equipped rooms. We provide Wi-Fi Internet access and a breakfast buffet served every morning. You may also use our private car park. Our place in Cracow offers cheap accommodation and high-standard rooms to rent. Feel free to take a walk around our place. With its convenient location in the renovated tenement building in the center of Cracow, near the AGH University of Science and Technology and the Main Market Square, ANTICA RESIDENCE Guest Rooms meets the needs of academic teachers who visit our city to take a rest in comfortable conditions. We have tea rooms, which is a great meeting place for freshly brewed coffee or aromatic tea. We offer a closed, spacious car park. There is also a possibility to rent a 9-passenger car. There is a large 6-person jacuzzi in the complex. It is possible to organize an evening rest at the grill. tell you how to get to your destination and buy tickets for local trips (e.g. to Auschwitz, the Salt Mine in Wieliczka and sightseeing tours around Cracow). For tourists visiting our city, we have prepared special offers that will help you get to know Cracow and its surroundings. We help in the implementation of plans for visiting the Auschwitz-Birkenau State Museum in Oświęcim, the Wieliczka Salt Mine. we offer assistance in ordering a taxi, booking tickets for museums, theaters, cinemas, as well as booking tickets for local trips. Our reception is open 24 hours a day and can help with any matter related to city tourism as well as other matters related to your stay in Krakow. Need a room for tonight? Contact us, to see if we have a room available, discount awaits. For our Regular Guests, prices are set individually, based on the length and frequency of stays. With longer stays, you can get a discount!